FIFA has already made a step forward to control the use of these tools for its own competitions. After suffering several concussions, U.S. soccer veteran Ali Krieger chose to wear performance protection headgear from FIFA-approved Unequal Technologies during this month's women's soccer tournament in Canada. Unequal Halo, which looks similar to Petr Cech's famous black protective helmet, combines Kevlar, high-tensile strain fibres and an Accelleron composite for ballistic-strength protection against concussions. So when force hits the 10-millimetres-thick Halo, instead of pinpointing directly into the head at the point of impact, it disperses the energy throughout the entirety of the headband. Going back to soccer data, FIFA relies on a visual-tracking technology called Matrics to provide extensive data set in real time that makes up the on-site heat maps, passes completed and distance covered. The company behind Matrics is an Italian firm called Deltatre that uses several technologies and manual inputs from a large crew to deliver the real-time stats. This technology has been around for years, but it's becoming more diverse, detailed and accurate. Moreover, the stats are also used by betting companies (William Hill embed Opta's regular contextual facts directly within its betting platform, while SkyBet uses them to add detail and colour to its regular email marketing communications), and more recently, Daily Fantasy Sports (DFS) operators. 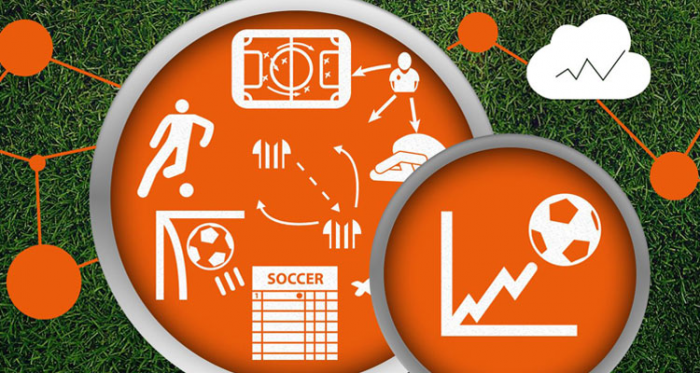 Sports data is used in two ways: firstly, companies use it to form scoring systems, and secondly, it's a must for fantasy players who have to study many pieces of information in order to be successful fantasy sports managers. The more information they have, given the ability to dissect it, the higher are the chances to enhance the competitiveness. Fantasy football (soccer) operators usually form partnerships with sports data companies, and use a limited number of stats, normally from five to 20, to sum up a game. However, there is one company whose scoring system proves the most advanced. Malta-based company Oulala Games Ltd has built a mathematical matrix that uses Opta's data to create an efficient scoring system. This company's platform uses a highly sophisticated algorithm to assess the crucial aspects of an athlete's performance that contribute to an overall result. Their system includes a total of 70 different criteria dependent on a player's position (keeper, defender, midfielder and striker) resulting in a total of 275 ways to gain or lose points. The aggregated numbers of these actions, made by players who are included in virtual teams, give the overall winners of different daily leagues. Despite the fact that a high level of skill is required to become a league's winner, some professional DFS players, especially in the U.S., have found a bypass that gives them a substantial edge over their competition – They are using advanced software known as scripting, which helps them to decide which players to pick, and in many cases, automatically enter hundreds of line-ups in multi-entry guaranteed prize pool (GPP) contests. Currently, all major DFS operators allow the practice. Soccer, which has always been a numbers game, is apparently driven by more and more Big Data. Clubs are now likely hiring fewer scouts and more computer analysts; TV, radio and newspapers drive more stats-based conversation about the performance of players, managers and teams than ever before. Numbers are also seeping out of real soccer and into the fantasy – the stats that surround players are not only used to measure their actual performance, but also to evaluate their contribution to fantasy soccer teams. It's fair to say that this Big Data revolution in soccer will only continue and change the whole experience of watching the most popular sport in the world.